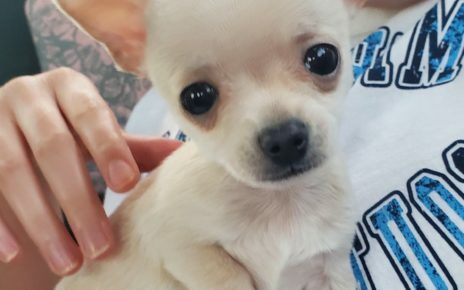 There are many dangers to the Chihuahua that pet owners just aren’t aware of, and that are much more of a concern as compared to larger dogs. A Chihuahua is a very small dog and therefore faces many more problems than you may think. For example, outdoors, a Chihuahua can easily become a meal for a large bird of prey such as a hawk, owl, or raven. They can also be carried off easily by a wild animal such as a coyote or bobcat. Even if you live in a city, there are larger dogs that may want to attack your dog simply because of their size, especially if they are dogs that view the Chihuahua as another prey animal the same they would a rabbit or mole. It is safe and much wiser to carry the Chihuahua with you above the ground if there are larger animals outside or if you see a bird of prey. You can also use a harness to pull your dog from harm if necessary. The accidental death rate of Chihuahua’s is very high when a larger dog attacks them. Even if you have a well behaved dog yourself, you can’t necessarily trust it to not react to a larger dog, especially if your dog or another dog is in heat. When kept outside, you need to look at your fence to make sure it is appropriate for your Chihuahua. Sometimes there may be a gap between the posts or between the gate and the gate post. No matter how small it looks to you, they can easily squeeze through. They are quite oblivious to cars as well, so it could mean certain problems if your pooch gets out of the fence or gate area. They don’t seem to understand what happens to them if they get in front of a car, or perhaps they don’t understand the danger of a car because it is so much bigger than they are. Whether it is the size or distance, they have no fear of them and will wander in front of cars if they get loose. Other dangers that the Chihuahua faces is the winter weather. Chihuahua’s have such delicate feet, and when the ground is wet, cold or frozen, the Chihuahua can get frostbitten feet. 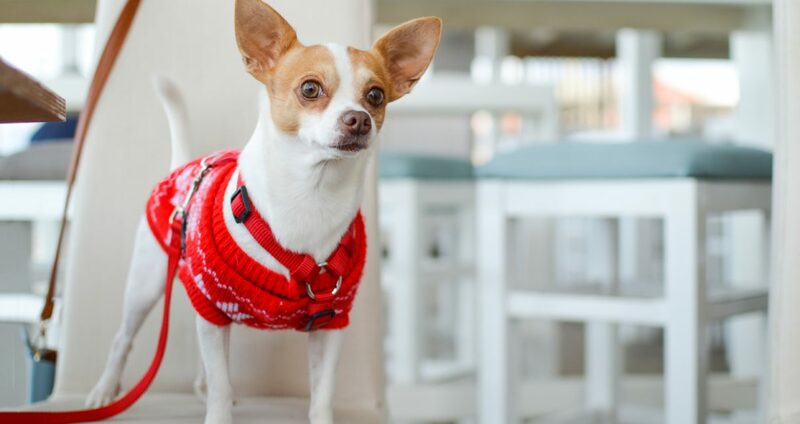 Also, this type of dog should always wear a sweater or coat when outside, and should not spend significant time outside in the winter even when wearing a covering. Most Chihuahuas don’t like cold or rain so it is fairly easy to keep them in. Summer also brings its own host of problems because they tend to like the sun and will spend many hours lying out if allowed. They will overheat and possibly have a heat stroke long before they realize they need to move inside or to shade. Keep them out of the sun as much as possible. Once you take them inside there are still dangers that lurk. Since they are small dogs that like to be on top of furniture they can sometimes fall or jump so far down that they can hurt themselves. Slipping and falling from higher heights indoors is a common reason for fractures, internal injuries, and bruises with Chihuahuas. These dogs are quite curious and often try to investigate things which can lead to pulling things down on top of itself, which can also be a hazard. 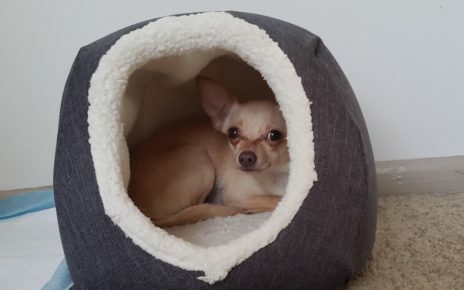 Finally, Chihuahuas also tend to eat things that they shouldn’t such as houseplants which can be poisonous and other things that they could choke on. They have very small mouths and equally small breathing pipes, and swallowing even a marble can choke them. You must keep small things off of the floor since they do not seem to be discerning about what they put in their mouths. In some ways they are a lot like toddlers and you do have to keep your eye on them at all times.